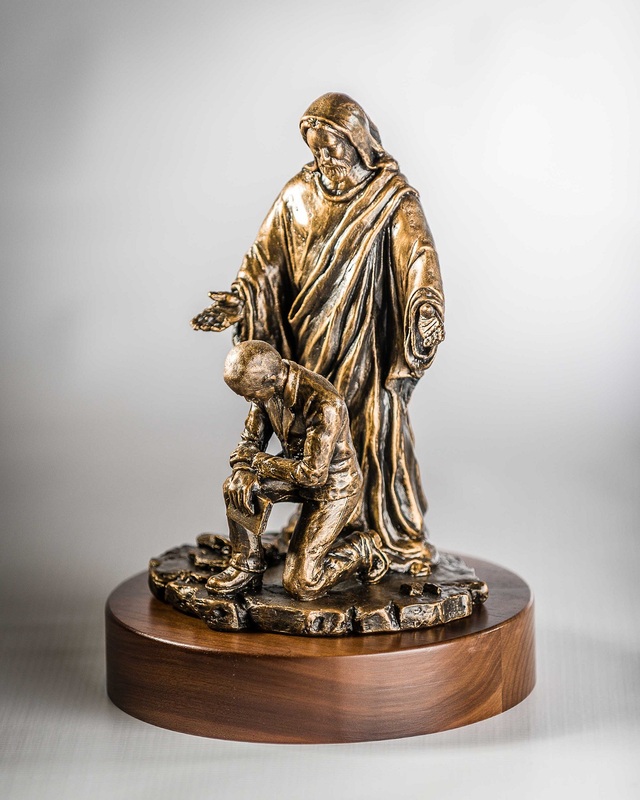 With You Always (Male) by Mark Patrick is a Christian Art Sculpture that would make a wonderful addition to any home décor setting. 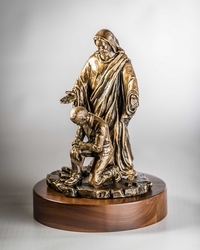 This highly detailed piece of Christian art designed for a man is an excellent conversation piece that provides an opportunity to share your faith with all who view it. It measures 10" H x 7" W x 6" D and is mounted on a custom walnut base. A double thick walnut base, as shown, is an additional $15.00. A personalized nameplate can be added to the walnut base for an additional $10.00.